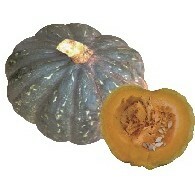 Hybrid pumpkin with dark green rind. 40-50 days maturity after flowering. Its shape is oblate and the flesh color is dark yellow. It weighs 1.5~1.8kg with good taste. 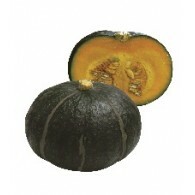 Zucchini type hybrid pumpkin with dark Ajijimang Gold F1 green rind. Its shape is oblate and the flesh color is dark yellow. It weighs 1.8~2kg. Hybrid pumpkin with dark green rind. Its shape is tetsukabuto and the flesh color is light yellow. It weighs about 1.0kg. 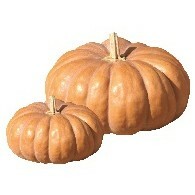 Hybrid pumpkin with dark green rind. Its shape is tetsukabuto and the flesh color is light yellow. It weighs about 1.3kg. 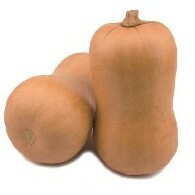 Squash hybrid can be harvested both in immature and mature fruit stages. Late maturiy with 90~100 days. Fruit weighs 3~3.5 kg in average. 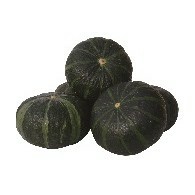 Skin is deep green color with white dots for immature harvest while mature ones are clear orange colored. 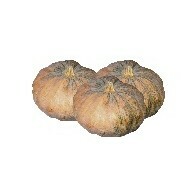 Flesh is yellowish orange colored with excellent texture and superb taste. Intermediate resistance to downy mildew and powdery mildew. 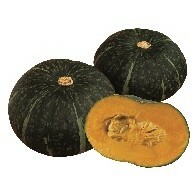 Hybrid squash with large size and flat shape with thick orange rind. Fruit flesh is suitable for fresh and processing. Fleah color is beautiful dark orange. Hybrid butternut type squash with bushy type plant. Peanut type fruit shape. Average weight of 1.0~1.5kg. Matures in about 80 days. Powdery mildew resistance. Good internal quality with high sugar. 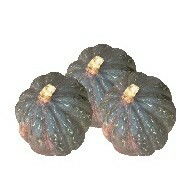 Butternut type hybrid squash with Powdery Mildew Resistance. Fruit size is average 1.4~1.8kg. Average yield per plant is 4~5 fruits. 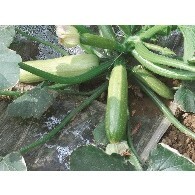 Zucchini hybrid with open type plant. Fast fruit enlargement speed enables easy harvesting for growers. Strong plant vigor. Suitable for long cropping. 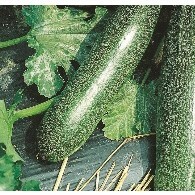 Zucchini hybrid with semi-bushy type plant. 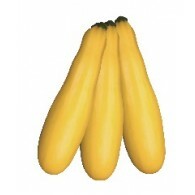 Average fruit length is 15~17cm and diameter is 4~7cm. Fruit skin color is uniform green. Zucchini hybrid with maturity of 50~55 days. Average fruit weight is 350~400g, length of 25~27cm and diameter of 4~5cm. Fruits are cylindrical shaped and uniform in harvest. Compact bush and erected type. Squash variety with 45~50 days maturity after flowering. Average fruit weight of 1.6~1.9kg. Wide adaptability for various environments. Medium early maturing variety with dry texture. Around 1.8kg in weight, its skin is black green color while flesh is dark yellow.